We continue with Blind Auditions Night 2 (here's what happened on Night 1) on The Voice with our judges/mentors Cee-Lo Green, Adam Levine, Blake Shelton, and Christina Aguilera (who is now Xtina from here on out) looking to pick up additional talent for each of their respective teams. After the four judges give us a jarring performance of a Prince’s greatest hits, we get not-a-couple Haley/Leland – (The Line) who perform as a duo and Blake Shelton is the only one to hit his “I Want You” button until the very end and the other three joined in. Blake yells, “Noooo!” as the competition for these two got a little stiffer. The duo conferred and looked totally about to throw up before announcing their pick of Xtina. They’re really not even good and I hope they get booted before too long. Jamar Rogers is an HIV positive recovering addict who also spent some time living on the streets (Chris Rene who?). Much to my surprise, Jamar busts out with a soulful and fairly rockin’ version of the White Stripes’ “Seven Nation Army” and then I am again surprised when only Cee-Lo turns around but it’s such a perfect fit. Jamar even gushes all over himself about loving Cee-Lo even before Gnarls Barkley all the way back to Goodie Mob and Cee-Lo’s Perfect Imperfections album. It’s clear he wouldn’t have picked any other judge anyway, so I’m fine only one turned for him. I see Jamar lasting until the end and he definitely has “winner” potential. Gwen Sebastian has chosen to chase her music dreams instead of starting a family and gave a heart-wrenchingly beautiful version of Sugarland’s “Stay.” It actually made me emotional; I didn’t like her much in her pre-recorded package but her voice made me fall in love with her. Blake turned first but it didn’t take long for Adam and Cee-Lo to follow suit. Blake begged her to pick him and smooth-man Adam swoops in, pitches to her then ends with “pick me, pick me, yay!” which didn’t work this time and Blake bags the older country chick. Pamela Rose is extremely tight with her single mom and sister and wants to make this dream happen to help provide a better life for them. 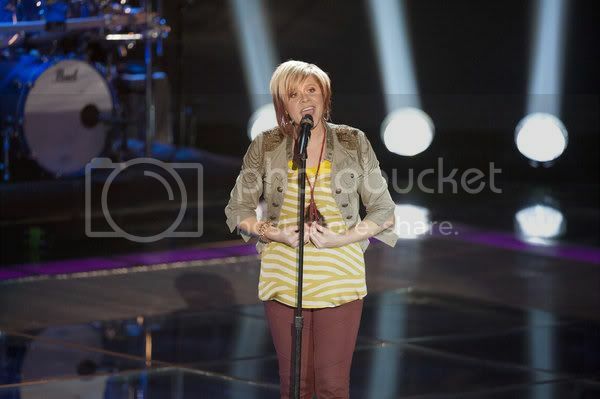 She tackles (American Idol Season One winner) Kelly Clarkson’s “Already Gone” and does a really solid job on it. But she’s loud and a bit pitchy. They all go “Oh man! Doh!” when they see how beautiful she is. That’s why this is The Voice and not American Idol, suckers! They all essentially said if they’d seen her first they’d have picked her. Fifty year-old Kim Yarbrough admits this may be her last shot at a lifelong dream, after 30 years of trying to break into the business. Before she even opens her mouth, Adam and Xtina are already getting down to the music of “Tell Me Something Good.” Adam actually turns around before Xtina and asks Kim her name, when she tells him he says “no it’s not, your name is Chaka Khan, Baby!” She actually picks Adam over Xtina in what I think is a wise move. YouTube sensation Angie Johnson first came to recognition when a clip of her in a military uniform singing “Rolling In The Deep” while stationed overseas found its way online. She is a tough chick who kicked the crap out of Pat Benetar’s “Heartbreaker.” Cee-Lo Green is the only one to pick her and says he loves that she’s hot and that she can sing. That Cee-Lo’s a class act. Yale Football player Dez Duron has himself a hot little ‘80s/Morrissey hairdo and a exactly the voice you’d imagine he had and predictably sings Backstreet Boys’ “I Want It That Way” and all the judges look torn but the song ends and none of the judges picked him. As soon as they turn around, everyone (especially Xtina), is just sick and beside themselves when they see how good looking of a kid he is. Christina even looked a little physically ill, and screamed “I’m pissed!” and starts hitting her button like a petulant child. Too late, little lady. However, I’ve heard rumblings of something like a “Wild Card” or “Second Chance” round and I’d be shocked if this kid didn’t get snatched right up. Lindsey Pavao has half a Sinead O’Connor hairdo and while her look is firmly stuck in the early ‘90s she’s more than current with her take on Trey Songz’ “Say Aah” delivered with Fiona Apple flair. 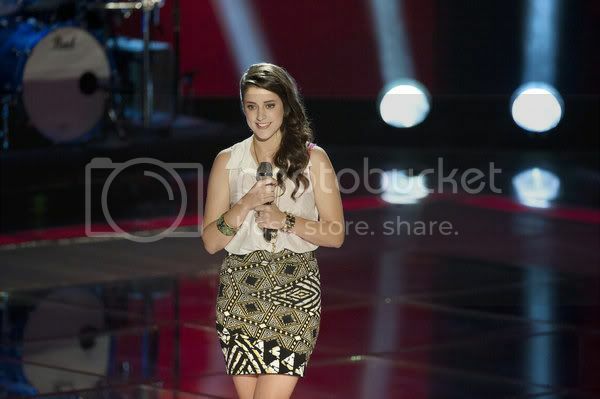 I think Cee-Lo would have been the perfcect match for her but she goes with Christina. At the time of writing this, Lindsey’s version of “Say Aah” was number 49 on the iTunes singles chart. I see big things for this one. 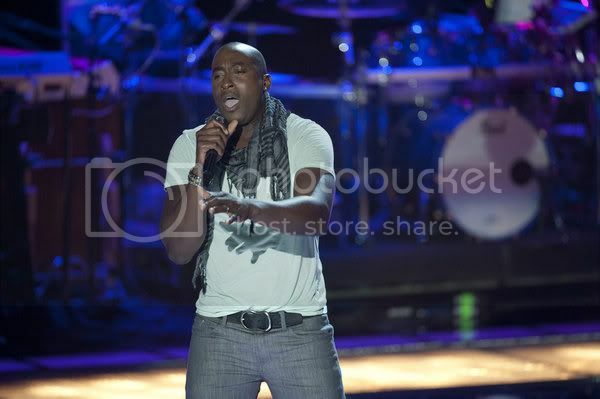 Backup Singer Jermaine Paul has toured with Alicia Keys for years but would like to take the lessons he’s learned observing and apply them to a solo career. He throws a total curve ball by tackling Avril Lavigne’s “Complicated” which I’ll admit, has never sounded better. He definitely rampedit up too much at the end and shouted the entire second half of the song but he garnered quick interest from Cee-Lo and eventually Blake even got into the act. Cee-Lo starts his pitch by saying Jermaine’s voice is “swag.” Blake calls him special and says he’d love to work with him, even addressing him as “sir.” In a shocking move, Jermine picks country star Blake Shelton over Cee-Lo Green. Adele is one of my favorite voices on the planet -- check out our reviews of her 19 and 21 albums -- and I usually get a little pissy when anyone on these shows covers her. However, Rosario Dawson look-a-like Angel Taylor sings “Someone Like You” with a voice filled with so much character, soul and pain it nearly brought me to tears. Adam turned around first and gives a smarmy, knowing wink to her, Blake and Cee-Lo also turned around and pitched her pretty hard. Despite her massive crush on Blake Shelton, Angel wisely goes for Adam’s team. 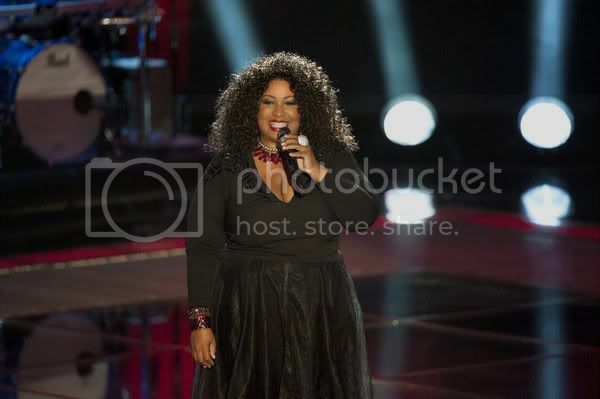 That concludes night two of the Blind Auditions, check back after next Monday’s show for my recap and reviews, and refresh your memory on what happened last night on the season premiere.